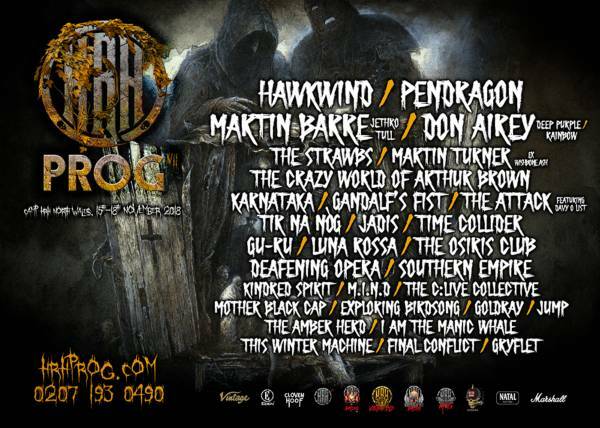 HRH Prog VII brings the best of Prog to North Wales. Camp HRH, at the Hafan y Môr holiday park, near the seaside village of Pwllheli in North Wales, is just minutes from the coast and set against a backdrop of the Snowdonian mountain range. The festival will boast a line-up of around 27 great prog acts plus signings,unplugged sessions, After Party, psychedelic entertainment and other fringe activities. The site offers a choice of high-quality chalets, apartments and mobile homes, providing HRH’s trademark onsite quality accommodation, including self-catering facilities, cosy furnishings, and all mod cons. There’s also a choice of places to eat and three supermarkets (exclusively for HRH customers’ use), all within walking distance of the live arenas. In 2018, HRH Prog VII will be once again be taking over the whole site and adding in the ever-popular second arena. All arenas will be kitted out with state-of-the-art sound and lighting production, comfortable seating in warm, welcoming rooms, with plenty of food stations and well-stocked bars. See our review of HRH Prog VI 2017.